Concert-video from Bergen, Norway, Nov. 17th 2014. 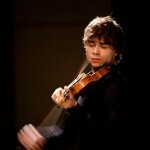 Alexander Rybak instructed and performed with young talented musicians of “Ung Symfoni” and their conductor, Kjell Seim. The concert was a charity-event in benefit of Mercy Ships – Hospital-Ships, which provide free medical care among the poorest in the world. “A lot of people ask me why I bother to have all these seminars with children, instead of just going to red carpets and celebrity parties. When I was young I almost gave up violin several times, because all the other kids were playing soccer or the guitar and didn’t understand my passion for classical music. That’s why it was so important for me to meet with other kids like me once in a while, so that all of us felt like a family. And it was even more important having someone to look up to, someone you wanted to learn from. 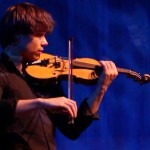 Learning new tricks, how to improve on your instrument, and having FUN with it, that was the big key!